Sometimes you gotta get creative with your characters. Roleplaying has propelled Grand Theft Auto V to one of the most popular streaming titles today, and for good reason. 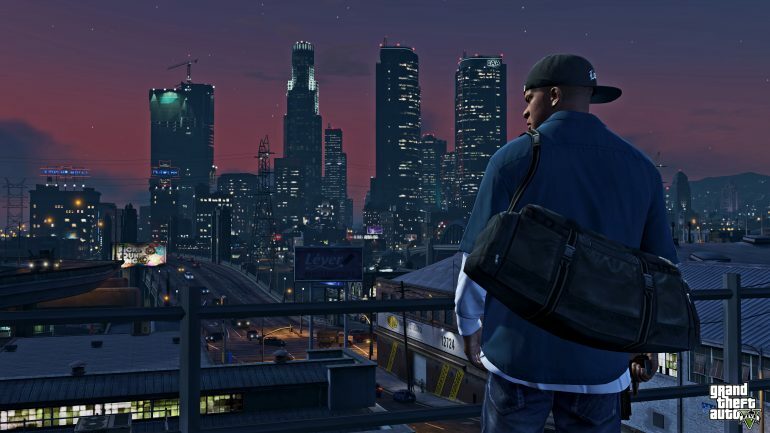 There are so many characters that viewers have grown to love, hate, and follow along as they live their virtual lives in the fictional world of Los Santos. Partnered Twitch streamer Spaceboy has brought the streaming world into GTA by roleplaying as an IRL streamer. An IRL streamer is a broadcaster who’s essentially a live vlogger, who records his or her daily life by streaming it out while they walk around and explore the city. For example, a prominent IRL streamer is JakenBake, who streams himself exploring different places like Japan and Germany. In the clip, Mr. Chang—played by popular GTA RP streamer Lord Kebun—encounters the IRL streamer near the Pillbox Hill Medical Center in Los Santos. As he speaks to the IRL streamer, Spaceboy seems to get a donation from one of his “viewers,” to which hilarity ensues. True to his character, the donation reads out as text-to-speech for everyone to hear, similar to how IRL streamers usually have their donations set up. As the TTS finishes, Mr. Chang and his friend jump Spaceboy as they think he’s the one insulting them. We’ve seen many roles filled by roleplayers in the No Pixel GTA V server, from drug dealers to doctors—but we haven’t seen anyone filling their own role within the game: Streamers. IRL streamers have become so much more prevalent in public, especially after Twitch added the Just Chatting category. IRL streamers should throw a ton of unpredictability into every situation that roleplayers get into.